Fifth generation multi-role fighter-bomber. 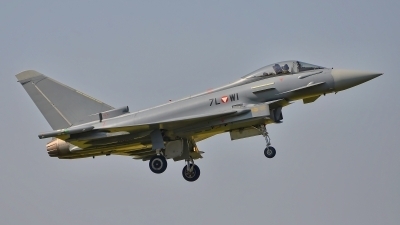 The Eurofighter Typhoon (EF2000) was conceived from a pan-European consortium, similar to the one which produced the Panavia Tornado. 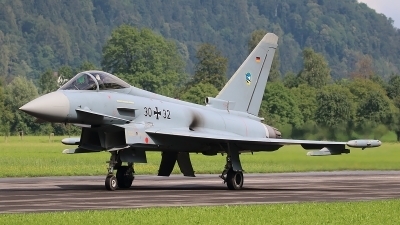 Germany, Italy, Spain and United Kingdom are the prime developers of the EF2000, with leaving at an early stage to develop what became the Rafale. 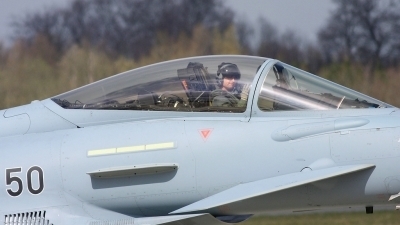 Advanced digital systems and a glass cockpit provide the pilot with a cutting edge work environment. 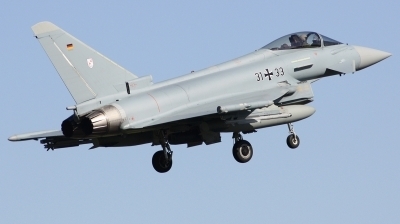 Super-cruise technology in the twin EJ200 turbofans allows the Typhoon to fight at speeds unavailable to other designs. 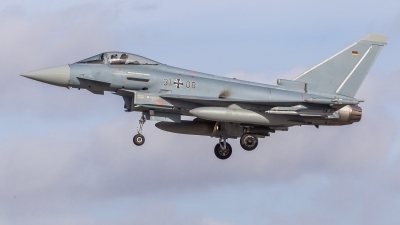 In-flight refueling give the EF2000 a near limit-less range and a towed RADAR decoy can hide the Typhoon on the electronic battlefield. The closest match to the Eurofighter Typhoon, in the air today is the Lockheed-Martin F-22A Raptor. 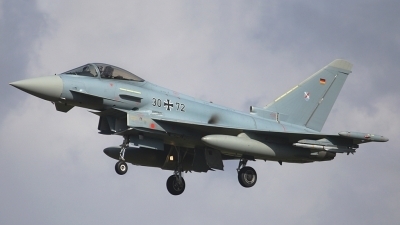 The EF2000 can carry a dizzying array of weaponry, making it a single-plane air force. 1 27mm. Mauser canon, carried internally. 2 x AIM-9 or AIM-132 ASRAAM AAM's or IRIS-T on under wing hard points, 4 x AIM-120 AMRAAM AAM's or Meteor MBDA on fuselage stations. 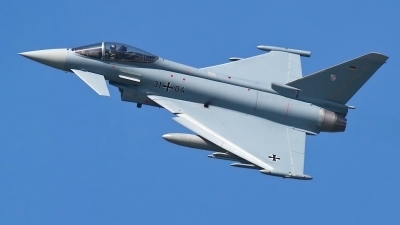 The Typhoon can also carry the AGM-84 Harpoon AGM, AGM-88 HARM, ALARM, Storm Shadow, Taurus Penguin and Brimstone AGM's. Length: 52 ft. 4 in. Wing Span: 35 ft. 11 in. Height: 17 ft. 4 in.